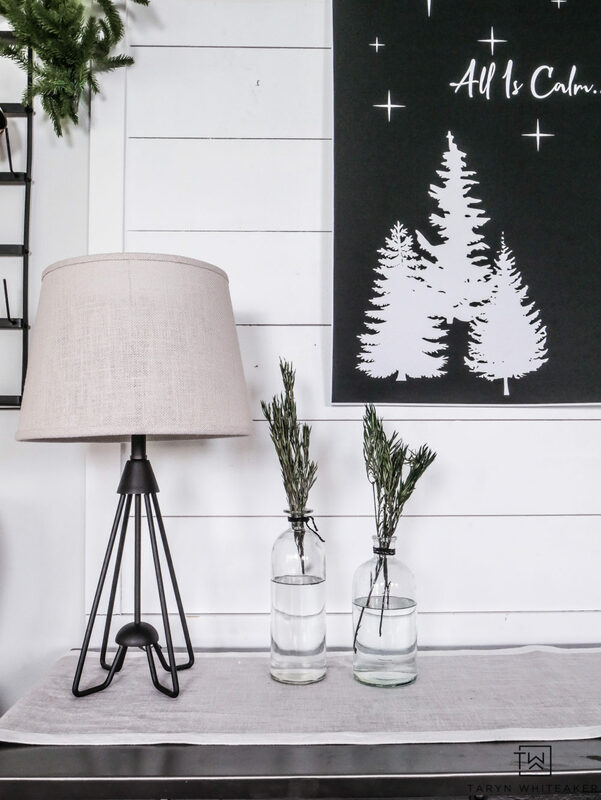 It’s time for a brand new FREE Christmas printable! 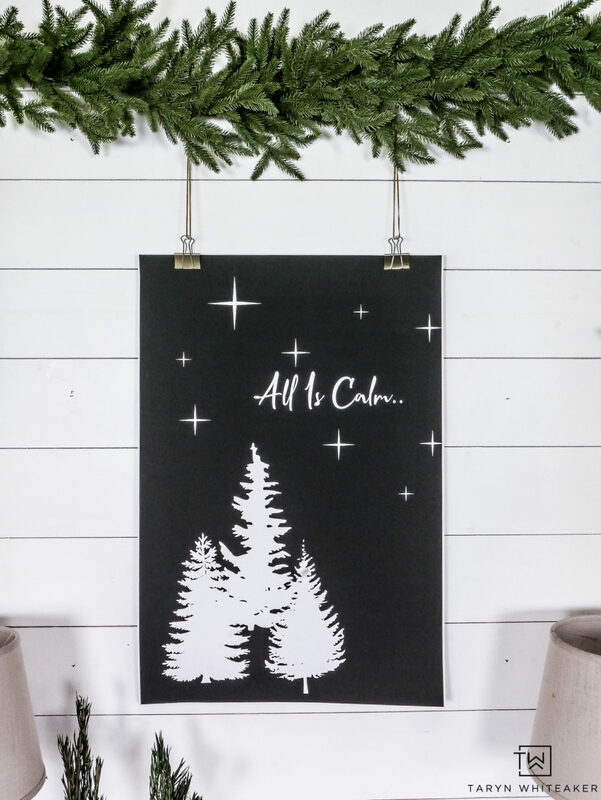 Every season I like to create a new original download for you all and today I’m sharing this large scale All Is Calm Christmas Printable that I used for our Christmas display in our kitchen this year. 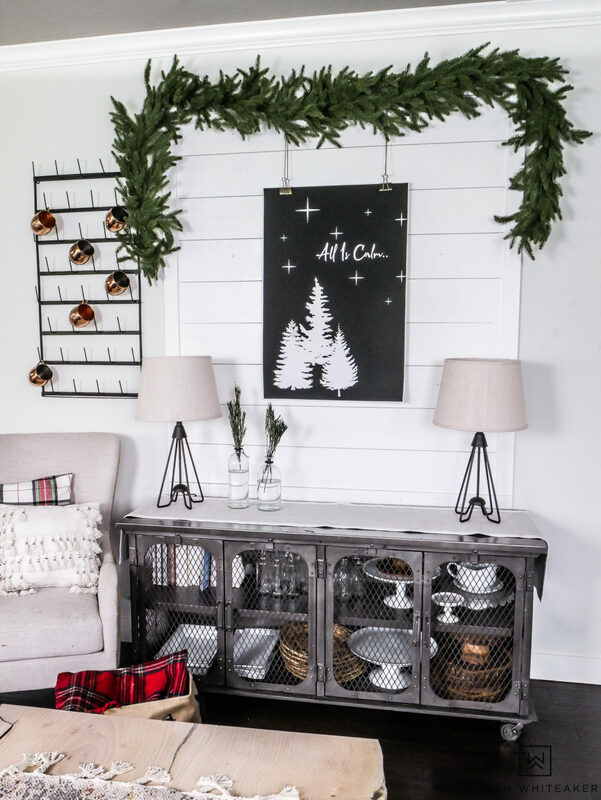 Today, I’m joining Kristin from Ella Claire and her ever so popular Christmas Printable Series where 20+ bloggers share brand new printables for you to enjoy! So be sure to scroll down below and click away on all the gorgeous prints. Everything from gift tags, pictures, games and more. 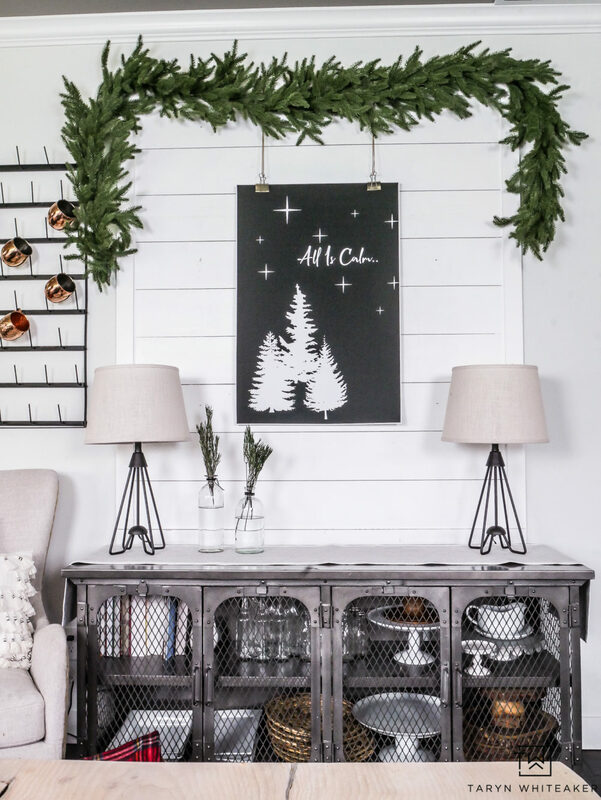 This is the first time I’d done a large scale holiday print and I sorta love it in this space with the shiplap behind it. It’s simple, makes a big impact and was really easy to put together. I created the print and then had it printed at my local staples stores in a 24″X36″ print. You don’t have to print this as large as I did, you can download it in the size that you prefer and simply display it as a Christmas print in a frame, or turn it into some DIY Christmas Cards. 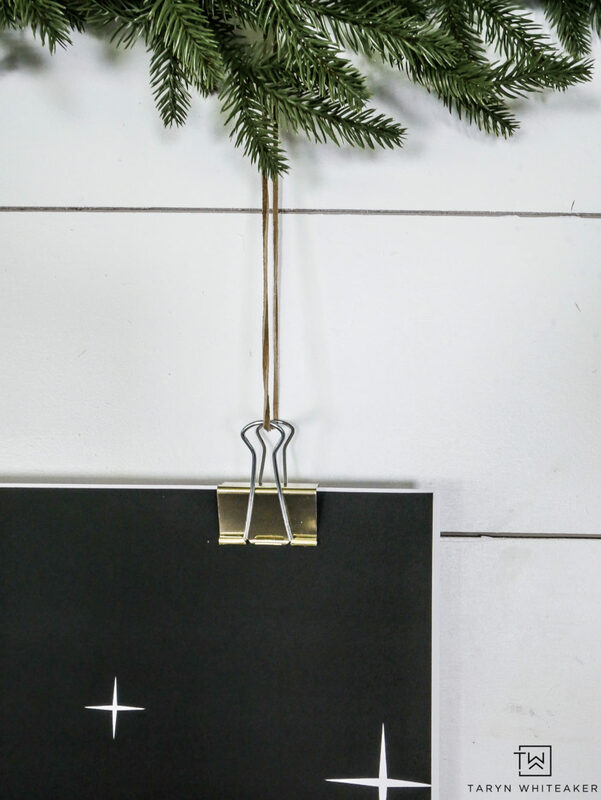 I love adding simple industrial touches to my decor and I feel in love with these large gold paper binder clips! I found these large ones at Staples, but you can find quite a few of them on Amazon too! 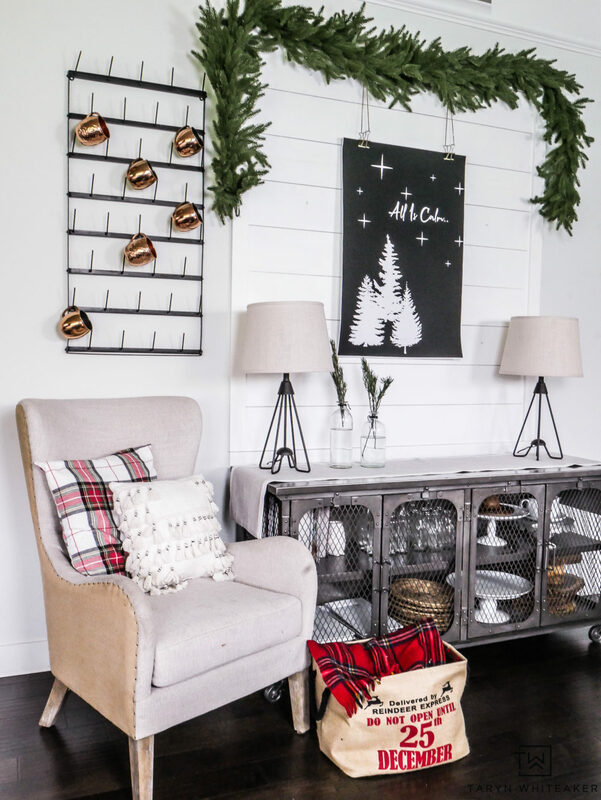 This little space sits right off our kitchen and dining area and it brings so must festive cheer to this corner. We often use the vignette for a buffet during parties or you an find someone curled up in the chair. Thank you so much Danielle! And I agree! I adore this print and the vignette, so very pretty! I love this Taryn! I also love how you hung it with the gold clips, so perfect! Love this, Taryn! Your whole space is gorgeous! So pretty Taryn. Great idea.